PvP stands for "player-versus-player" and refers to combat between player characters (PCs). RP stands for "role-playing" and refers to a character's narrative and in-character actions in-game. The rules regarding PvP encounters are described below. Please familiarize yourself with these rules and follow them, and above all, remember that we expect you to be respectful, polite, and excellent to your fellow players. - You must always set your target(s) to hostile before initiating PvP. No exceptions. PvP includes regular attacks, Knockdown, Curse Song, offensive spells (e.g. dispelling spells, debuffs), and any mechanical action that results in a negative mechanical effect on the other character. - This is a "PvP consent" server, and thus all PvP is done with the consent of all parties involved. Always allow a player to roleplay out of the situation before engaging in PvP unless they have already given clear consent beforehand. When initiating PvP, the aggressor has to RP to show clear hostility, or intent to PvP, before attacking. This gives the other player a chance to react in-character to defuse the situation (the "RP out"), if they wish to (or they can simply attack). RP "outs" are not determined by the aggressor. Aggressor-determined "outs" include anything that has the aggressor decide the manner of "out" the other party must comply to in order to avoid PvP, such as "X or die" demands. It is the challenged party's role to employ an appropriate RP "out" that does not escalate further hostilities (bargaining, walking away, etc. ), and demonstrating hostility or hostile intent in the "out" will render it invalid and the aggressor may engage. If PvP has not commenced yet, third parties (e.g. bystanders, friends, bodyguards) are considered to be the aggressor and must clearly RP hostility and accept an "RP out", if any, before attacking. Once PvP starts, third parties already in the same map can engage without preliminaries. - Certain actions can indicate hostile intent and a valid consent to PvP. This includes casting spells, drawing weapons, resting, or using stealth mode (such as Hide in Plain Sight) during hostilities; or pickpocketing or performing a suspicious action towards another character. To prevent this, do not do these actions at all, or clearly and truthfully indicate that the action is done for non-hostile purposes (such as leaving the area). A character who continuously provokes, slanders, bullies, or offends another character is considered to have consented to PvP with that other character. The offended character is not required to give an RP out before engaging in PvP with the aggressor, as long as the attack occurs during the offending. If you commit an IC crime either within city limits or in front of witnesses, you are considered to have consented to PvP for the players who have witnessed or been a victim of the crime, and no RP out is required. - Members of a guild should seek DM supervision for PvPing in front of their guild NPCs, but no permastrikes or censure would be issued if this cannot be done. Guild members who catch infiltrators can initiate PvP once hostility is demonstrated and an "RP out" is given. The reverse is not true, and the infiltrator must either flee or gain DM supervision before initiating PvP on the guild members. If the PVP takes place without supervision, and the visitor or infiltrator is victorious, they must leave the guild hall immediately as the NPCs would intervene. - Consent to PvP another character only lasts for the situation at the time (regardless whether PvP was initiated or not), and does not carry over to later encounters. The aggressor is still required to show hostility and allow an RP "out" before initiating any future instances of PvP. - A participant of a PvP session, or the prelude to a PvP session, who leaves the map where the PvP is/would be taking place is considered to have ended the encounter, and both the leaving participant and the other party are subject to the post-PvP rules (see PvP Aftermath). Characters outfitted in a way that completely hides their identifying features require the aggressor to apply normal PvP rules, regardless of which side the disguised character is from. The disguise must be complete and hoods by themselves do not count. Patterns of speech, accents, body language, and other distinctive qualities are discerned only through roleplay over time, and details such as "a funny-sounding name" or the size of the character alone do not count for the purposes of identification. - Familiars and Animal Companions are considered an extension of the player character and normal PvP rules must be followed when attacking them. Beasts of burden, such as pack horses and elemental haulers, are included in this category. Monstrous Humanoid, Hellhound, or Worg companions on the surface are exceptions to this rule and these companions may be attacked on sight. Summoned creatures may be attacked on sight, but regular PvP rules must be followed for the aggressor and the owner of the summoned creatures. "Summoned creatures" are defined as any creature that can be summoned or called through a spell or ability, and is not a Familiar, Animal Companion, Dragon Companion, or Telthor Companion. - While polymorphed into a form that is not your own, you are perceived as what you have become. This is considered consent to PvP until your character shifts into a less threatening form or into their natural form. - An assassination is a targeted attack on another character in a situation where the normal PvP rules have been suspended; in other words, the aggressor can engage their target without needing to emote hostility or provide an RP "out". The condition for this to be counted as an assassination is that a DM must be present, in-game, for the attack, in order to provide legitimacy, bear witness, and explain the situation to the victim. If a DM is not present at the moment of attack, the aggressor is considered to have violated the PvP rules. 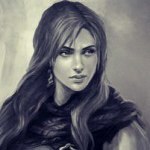 - When hiring someone to assassinate another character, both you and the assassin must inform the DM Team as a whole of the contract in detail. If you are the employer, you must indicate who you hired, the target of the assassination, and why your character wants to have the target assassinated. If you are the assassin, you must indicate who has hired you, who you are targeting, and how much you are being paid. - After any PvP session, or disengaging from the prelude to one, all parties involved in the session must not interact with each other for 24 hours unless they have received permission to be present around each other. This permission is granted only by the players involved in the PvP. - The victor decides if the victim is subdued or killed, but any actions done to the victim's body are done with the victim's clear consent. Keep any consequences tasteful and PG-13. In PvP, a character is considered subdued/killed when they are reduced to 0 or less HP and fall to the ground, making groaning noises. A character who has fallen is considered to be out of the fight for the remainder of the PvP, and HP restoration methods (e.g. Regeneration, the server's post-PvP autohealing mechanic) are not considered valid methods to "bounce back" from being defeated in PvP. After being killed in PvP, the losing character is considered to have lost all memory of the preceding 24 hours, including the events leading up to their death and the identity of their killer. Amnesia does not happen if the victor chooses to subdue the victim instead. - Sometimes a PvP can end in the capture or kidnapping of the victim instead of death. In accordance with the topic covering DM Rulings, no character is to be held captive for longer than 72 hours (3 days) and any RP involved must be completed by then. To end the RP, the captor can choose to facilitate the captive's escape, or to execute the captive. If there is no input from the captor by the end of the allotted time, the captive is considered to have escaped. - Screenshots sent to the DM Team clearly showing a PC emoting hostility, or initiating PvP, in sight of NPC guards (Baldur's Gate, the Friendly Arm Inn, or any map with an NPC guard/watchman) may result in a hanging and/or perma-strike against the PC. The only exception is when a DM is supervising the conflict, and with guild NPCs in a guildhall (see RP Outs, PvP Consent, and Toggling Hostile). If you are caught and brought in to a lawful organization (e.g. Flaming Fist/City Watch, Charnag Maelthra) to answer for your crimes, then you are expected to play the consequences of your actions. If imprisonment, fines, and/or execution are not to your taste, then do not commit crimes within city limits or when witnesses are around. - The PvP rules must be followed by all players, and offenders are subject to discipline. If you have witnessed another player violating the PvP rules, please take screenshots of the incident and send them to the DM Team group over the private messaging system. Update: Disarm is no longer prohibited in PvP. Update: The rules have been clarified somewhat, and new assassination rules have been added. An additional note as to the aftermath of PvP. The winner of the encounter decides whether your PC is dead or simply unconcious. PvP does not always have to end in death. However, in all cases, the winner decides the loser's disposition, and may drag them off to the Fist, or to be fed to wyverns, as the case may be. Regardless, no action taken by another player can result in the loser's permadeath without the loser's permisson. "A man is only as old as the women he feels." -Groucho Marx. Significantly redrafted the PVP rules. -"RP outs" added as one of the golden rules (unless "consent" has been given). -Added rules about knock-outs and memory loss in "PVP Aftermath"
Clarified some policies that have always existed, but were not clearly written here. 1. Familiars, Companions, Summonings and Shapeshifting: Clarified that the Monstrous Humanoid, Hellhound, and Worg animal companions consent you to PVP if you are seen controlling them on the surface. 2. Familiars, Companions, Summonings and Shapeshifting: Reworded the Polymorph/Shapeshift rules to use the current "consent" language. 3. PVP Aftermath: Reworded the "avoid for 24 hours" policy to make clear that it applies to all PVP. The point of this policy has always been to prevent revenge PVP, regardless of how the fight ended. Removed a loophole from the PVP aftermath rules, as it was determined to be against the spirit of the rule. Avoid directly interacting with the player or players who you have PVPed for a period of 24 hours, unless an RP reason is presented to you, or permission has been granted for you to be present around the one you have PVPed. Permission is granted only by the player or players that were involved in the PVP. The "unless an RP reason is presented to you" clause has been taken out, and the rest of the rule has been reworded for clarity. Update to the Assassination Rules. PvP and KOS clarifications from Maecius, logged here, to be integrated into the OP at future time. - You cannot simply attack someone unprovoked. You must show hostility beforehand, giving the other player a chance to calm the situation or leave the area before PVP occurs. This is called an "out." - Failure to take the "out" can and sometimes will result in PVP. If you continue to taunt the other character, if you cast evil spells, if you summon a fiend, if you enter HIPS mode, if you start battle-buffing, if you begin saying a prayer to the gods of light and justice in the middle of a necro-party, then yes, you have agreed to PVP. You've rejected your out. - If PVP is ongoing, any third-party PC may join the PVP on either side of the fight without roleplay restrictions. This allows for hidden allies to join a confrontation, or for passers-by to get involved in breaking up the fight. - If you OOC "rest" to get back all of your spells in the middle of an argument that appears to be heading towards PVP, not only have you rejected your out, but you will probably get into trouble for metagaming as well. - Summoned creatures (including evil animal companions [on the surface]; but not normal familiars or animal companions), and undead are KOS (yes, this includes angels). The SUMMONER/ANIMATOR has not consented to PVP, however, and must still be given roleplay before PVP occurs. - Drow and Tannurrak races on the surface are KOS. All Surface races in the UD, outside of the city of Sshamath or Varalla's Passage area, are KOS. - Casters and shapeshifters are KOS if they are in a shapeshifted form. This includes devil forms, monster forms, elemental forms, threatening animal forms, and so on. You are perceived IC to be what you're shaped into, and have consented to PVP by taking that shape. Currently, orcs, necromancers, Zhentarim, and other evils on the Surface are not KOS. Currently, paladins, priests, and Lords's Alliance faction members in Areas outside the Law of Baldur's Gate are not KOS. DM Mouse wrote: PvP: Giving an out means allowing for a non-combat resolution to player conflict; this is not a free pass to avoid conflict or consequence. Outs are not required to be favorable nor do they excuse you from interacting with an aggressive character. You must either remain in character and resolve a situation through Role Play or log out of the server if you do not wish to participate in our world. Refusing to role play and then complaining when you get cut down is not okay. It is to be established and eventually included in some form through the original post that role playing is not optional nor do players have an automatic right to ignore aggressors. Mandatory role-playing has long been our stance here, though we do not forbid ooc interaction. There should be a general understanding of the difference between the two among our blessedly very mature players, so thank you guys ahead of time for helping us maintain a healthy role-playing community. Please be sure you are up to date with Server Rules & Information (updated Aug. 25th, 2014), these also apply to the forums! Of particular interest are the Forum Rules which everyone posting here must know. Just a note: All those who PM'ed in saying "What's changed" after the last updates - sorry! We will make explicit or even quote the changed sections in the future. Edited 21/02/16: to add mention of the general rule regarding infiltration of guildhalls. 24/04/17 - PvP rules have been overhauled. Read them!